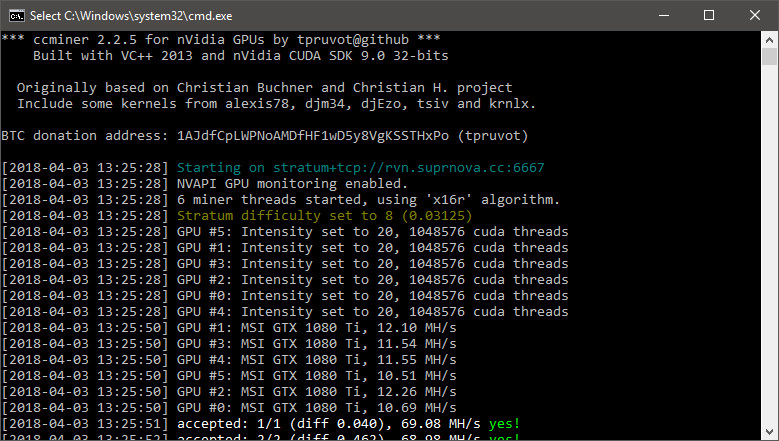 There is a new official release of tpruvot’s ccMiner fork version 2.2.5 available (source) that adds support for a few new mining algorithms, namely X12, X16r and X16S. 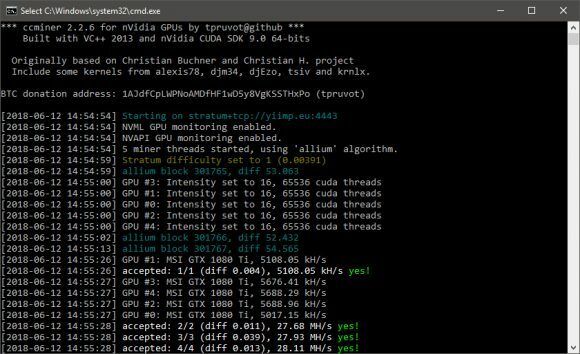 The latest release also fixes issues on Neoscrypt and Equihash for the Nvidia Volta cards according to the developer. 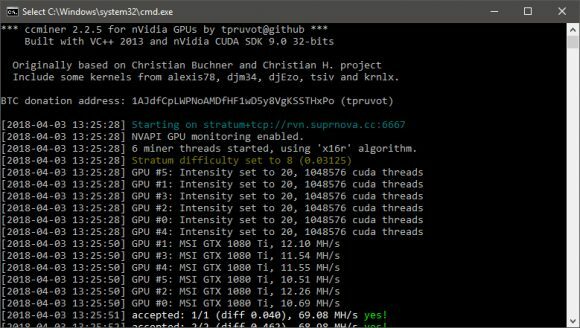 The two new X16 variants are getting a lot of attention lately – the X16r used by Ravencoin (RVN) and X16S used by Pigeoncoin (PGN). 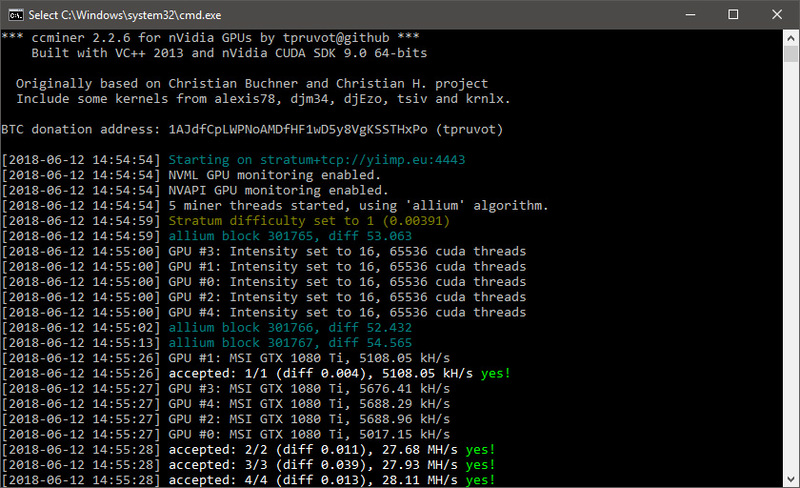 For people looking to mine X16r or X16S this may not be the fastest implementation out there, there are a lot of different ccminer forks and miners supporting that might provide better performance, so you might want to play around with these as well. 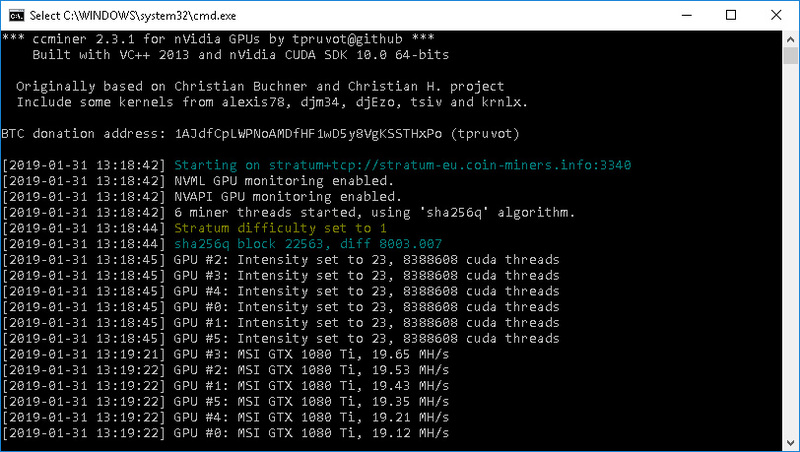 The latest official release version 2.2.5 from tpruvot is available as both 32-bit and 64-bit Windows binary releases for everyone using Windows and not keen on compiling the miner from source. 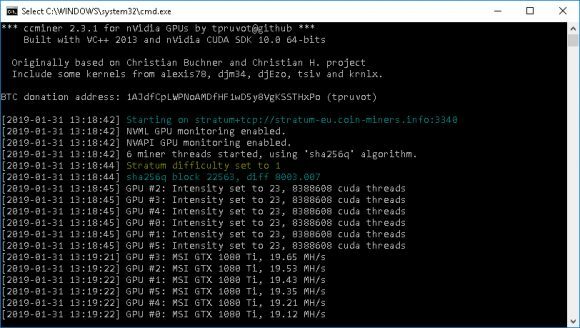 The Windows binaries built with CUDA 9 for SM 3.0 or later Nvidia GPUs, so make sure you have up to date video drivers installed with support for CUDA 9.0 on your mining rigs.